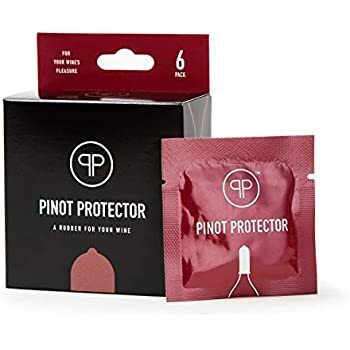 Sold by WINE CONDOMS and Fulfilled by Amazon. Gift-wrap available. 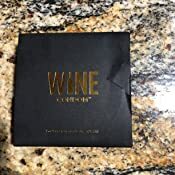 CELEBRITY APPROVED: Wine Condoms boast recognition from celebrities, national publications and televised programs like NBC's “TODAY” Show & CNBC “Make It”. Not only funny, but one of the most creative and functional solutions to resealing opened bottles. Amy Poehler, Sharon Stone, Mila Kunis and Melissa McCarthy have some! 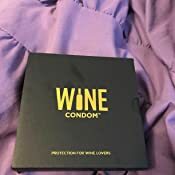 Sold by WINE CONDOMS and ships from Amazon Fulfillment. Sold by TechAndGoods and ships from Amazon Fulfillment. 200+ 5 star reviews agree! 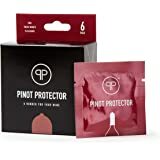 Unlike corks or pourer caps - Wine Condoms fit flush with the opening & hug the bottle, preventing spills. Your unfinished wine bottle now fits in the fridge! 99% Effective Preventing Unplanned Spillage. Ever hesitated on opening that second bottle of wine? No more. 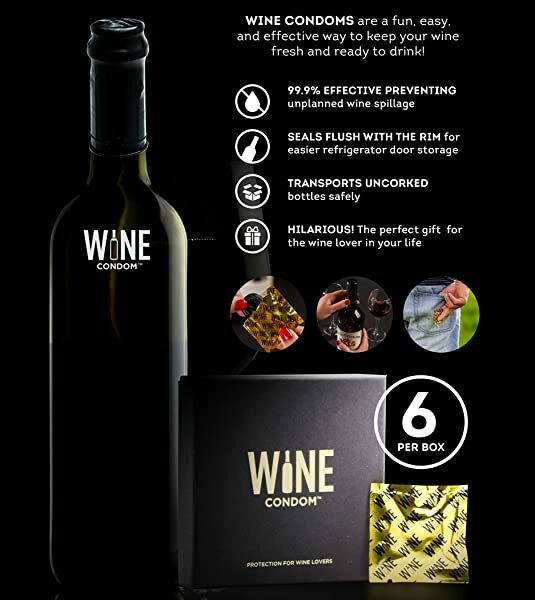 Wine Condoms are a great solution to preserving wine. Our super seal prevents oxygen from entering the bottle and spoiling the wine. The perfect gift for wine lovers. Plan on getting "lucky" with your next glass of merlot or chardonnay? 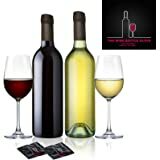 Wine Condoms, like regular condoms, can be slipped in your pocket or purse and taken anywhere! 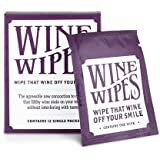 They work great for restaurants and party leftovers too! 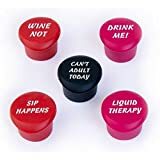 Make our hilarious wine stoppers the perfect gift. these are amazing. 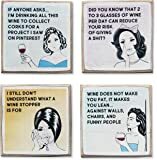 I bought them as a Christmas gift for my wine loving sister in law. She loved them! I ended up buying myself some too. You can use them more than once. They are slightly hard to get on, but that just assures a tight seal. 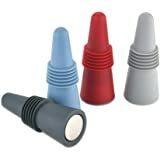 I especially like that you do not have to worry about your wine stoppers height fitting in the fridge. 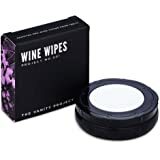 I bought these for my mother, a wine connoisseur, for mothers day. The packaging is adorable and the little messages inside are hilarious. I'm excited to see her face when she opens them! 4.0 out of 5 starsA perfect gift for a college student who loves wine! She liked the packaging, and she thought the concept was hilarious! I think it is a good idea for a gag gift (it is more of a novelty item than a very practical or useful item). Overall, I think my purchase was worth it! It was the perfect gift for my friend. She liked it so much she decided to buy wine condoms for her other friends and her sister. Great White Elephant gift. Purchased for my family’s Christmas White Elephant gift and this was the gift that was stolen the most and brought the loudest laughter. It is also practical if you are a Wine drinker. 5.0 out of 5 starsGreat product with a laugh included!! 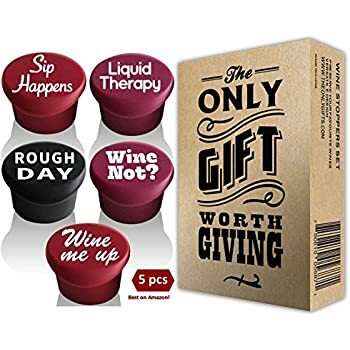 I got these as a gift for a family member that is a “wine afficianado” partly for a laugh but also for their great concept. 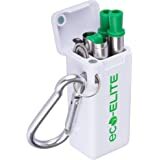 When she opened them I did get a huge laugh but once she realized what the were and the concept she was amazed and I have received confirmation from her that they work wonders and truly provide an airtight seal. So now all the forks can go into the trash can after they come out of the bottle and a wine condom goes on!! 5.0 out of 5 starsFun Gift! 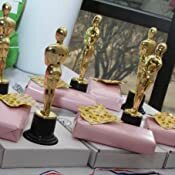 I can't really say anything on the quality because I didn't find any of the eggs that had these....but they are a fun novelty gift. Well, for me it was just a joke present and a rather pricy one at that. The condoms are not reusable but truly resemble the real thing. It absolutely had the desired effect when my friend opened her gift! 5.0 out of 5 starsYes, just buy them. So good I had to buy two! 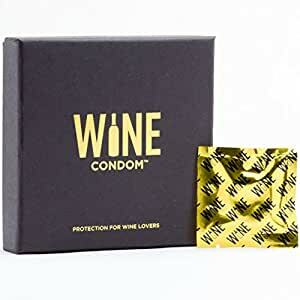 Not only are these wine condoms a gift that people will talk about, but they're a responsibly way to keep your wine sealed between drinks. First and foremost, they're reusable. I do want to note though that, like any other condom, a wine condom will break if you're too rough with it - however, if you use common sense while putting one on the bottle and don't try to overstretch it, I doubt you'll have any problems (I haven't had any so far). Personally, I prefer using these to traditional corks when storing white wine because I can keep my bottles sideways in the fridge without fear of any spillage. 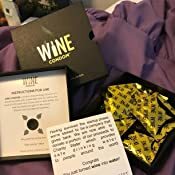 I also want to note that these Wine Condoms were socially conscious: when I received my package, I also received a note stating that a portion of my purchase had gone toward providing clean water for those in need. Definitely worth the purchase from a great company!